Hugh Jackman is a true Hollywood juggernaut. The magnetic Australian has joined countrymen Mel Gibson and Russell Crowe as an international superstar thanks to his role as Wolverine in the X-Men series, and is loved by fans worldwide thanks to his extremely varied career in film and theatre. When a young Jackman turned down a role in Neighbours to study at the prestigious WAAPA in Perth, his gamble would pay off handsomely. After a string of successful Australian musicals, Jackman's Hollywood break came as he was cast as Wolverine in 2000, catapulting him to heavyweight stardom. He has since reprised the role in box office hits The Last Stand, Origins and The Wolverine. Premium offers including 2006 animation Happy Feet, Baz Lurhmann's epic Australia - and even a rumoured shortlist spot for James Bond - soon followed. 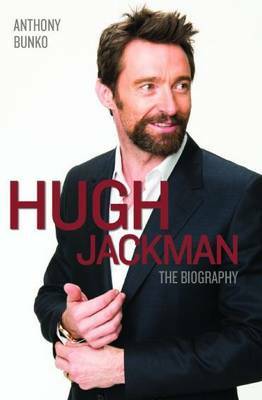 With a 2013 Academy Award nomination for his tour de force performance as Jean Valjean in the epic Les Miserables, and a star turn as Wolverine in X-Men: Days of Future Past on the horizon, Hugh is set to dominate the silver screen for the foreseeable future.